Amid a flurry of exhibitions devoted to the October revolution centennial, the one at the Schusev State Museum of Architecture definitely stands out. Entitled “AvantGardeStroi: Architectural Rhythm of the Revolution,” it tells a story of avant-garde architects of late 1920s-1930s and their projects, both realized and not. The first decade after the revolution allowed new forms of art to develop and flourish, an unprecedented situation for Russia. Avant-garde architecture, also known as constructivism, appeared in Russia along with other aspects of revolutionary art: Malevich's suprematism, the futuristic poetry of Mayakovsky and Khlebnikov, and Meyerhold's theater. Thanks to avant-garde, Russia moved to the forefront of the early 20th century's contemporary art and, in fact, began to lead the way forward. Changes in social structure led to a dramatic increase in construction. New educational infrastructure represented by institutions like Vkhutemas, ASNOVA (Association of New Architects) and OSA (Organization of Contemporary Architects) supplied the brains that contributed to the development of avant-garde architecture. Many of the new buildings were purpose-built, designed to serve the needs of a socialist society. 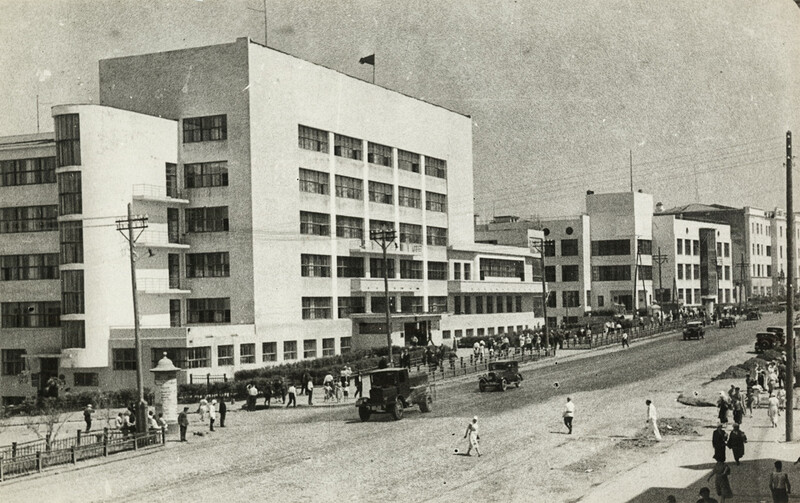 That’s how new types of buildings emerged, such as the workers’ club, house-commune, zhilkombinat (residential buildings that included basic services) and factory-kitchen. The exhibition is divided into several sections, each devoted to one of these new building types, except for the first one, which showcases utopian works of Ivan Leonidov. 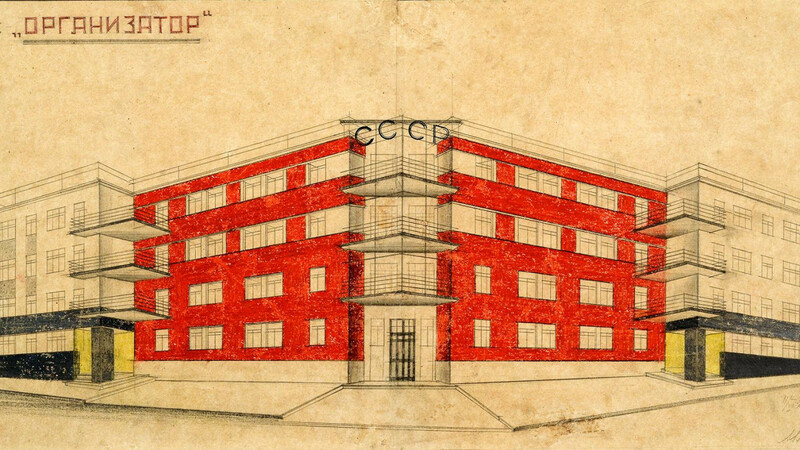 The workers’ club concept is best illustrated by the model that Alexander Rodchenko created for the Soviet pavilion at the 1925 International Exhibition of Modern Decorative and Industrial Arts in Paris. With the main objective to educate the working class, the club included the famous revolving chess table and “Lenin's corner” devoted to the recently deceased leader. Two more famous clubs are shown at the exhibition: Konstantin Melnikov's fan-shaped Rusakov Workers' Club, with seating areas jutting out of the main building, and the Zuyev Workers' Club by Ilya Golosov with staircases contained in a glass cylinder. Much energy was spent on the development and construction of new stadiums and centers devoted to sports and healthy lifestyle. Here, too, avant-garde architects took part in their design. The fruits of their work can also be seen at the exhibition. The most famous house-commune is the Narkomfin building designed by Moisei Ginzburg, an attempt to create a Soviet residential building combining private rooms and communal spaces like a canteen, gym, and club. 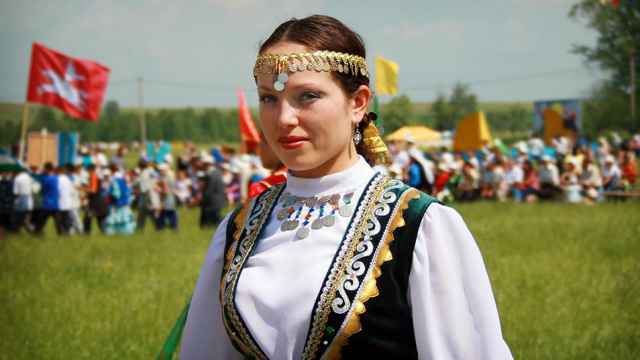 There were also numerous projects of residential complexes – zhilkombinats, complete with apartment buildings, clubs and so-called factory-kitchens – cafeterias, where food was prepared on a mass scale. Main street in Kharbarovsk, 1937: House of Soviets by I. Golosov and B. Ulinich (foreground) and a bank by V. Vladimirov (background). Photo by B. Fishman, courtesy of MUAR. Of course, the exhibition could not be complete without the grandest Soviet construction undertaking of all – the Palace of the Soviets. 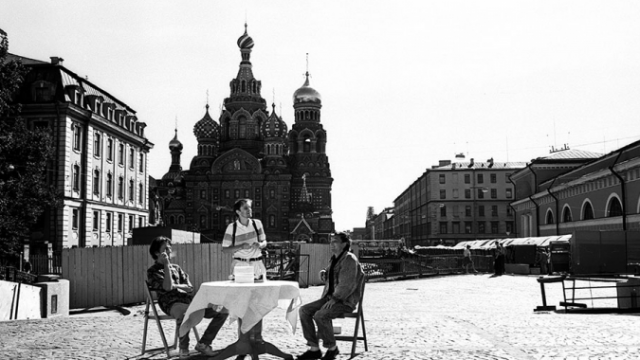 Several competing visions for this administrative center in place of the demolished Cathedral of Christ the Savior are displayed at the exhibition, including the winning design by Boris Iofan. But construction was stalled during WWII and the Palace never saw the light of day. “AvantGardeStroi” also exhibits works by such well-known architects as the Vesnin brothers, Nikolai Ladovsky, Vladimir Krinsky and many others. 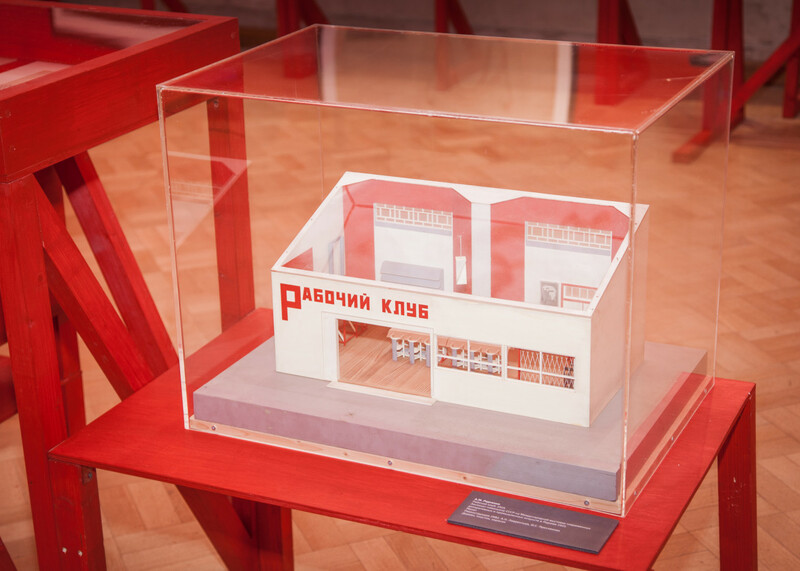 Apart from drawings and paintings by the architects themselves, there are models, archival video records, photos, documents as well as works of applied arts from museums of Moscow, St. Petersburg and private collections. Many items from the Shchusev Museum collection are displayed for the first time. “AvantGardeStroi” is largely an educational exhibition, but it also has another purpose – to attract public's attention to the problem of the preservation of the Soviet avant-garde. Many of the buildings shown at the exhibition, despite being masterpieces of world architecture, are not being properly taken care of and some are actually under the threat of demolition. 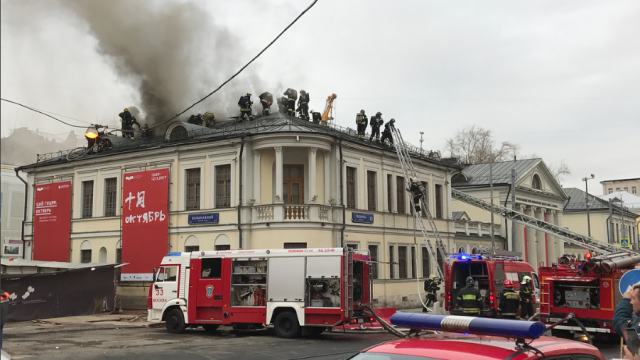 A case in point is the dilapidated Narkomfin building, which thankfully will be getting a facelift in the nearest future. A hot new Moscow exhibition has got people lining up outside of the Pushkin Museum in the December cold.